In January many book bloggers tend to publish plans — or reading resolutions — for the year ahead. Normally, I don’t bother. But last October, when I was travelling around Australia, an idea slowly began to ferment in my brain: could I devote a whole year to reading exclusively Australian literature? You see, every time I go back “home” I stock up on Australian books to bring back to the UK with me. I’m a light traveller, so it’s not normally a problem to squeeze up to 12kg worth of novels in my suitcase on the return leg. But what happens to those books when I get back to London? Sometimes I read one or two, but most go on the top shelf of my wardrobe — and get promptly forgotten about. Indeed, over Christmas and New Year, as I sorted out my enormous TBR — an exercise which took three days — I found titles I cannot even recall buying (hello Together Alone by Jeff Apter and Wake in Fright by Kenneth Cook). As well as weeding out about 150 novels to go to charity, I also filled a 90-litre plastic box with translated fiction and another with British and American fiction, both of which have been put into storage for a year. I then created space on top of my wardrobe for Irish fiction (about 140 novels) and a shelf in my living room for fiction from Canada, New Zealand and other Commonwealth countries. That left me with a huge pile of Australian literature, all of which has now been scanned into GoodReads and shelved in a prominent position. The grand total? So, over the course of the next 12 months, in an attempt to make a dent in my TBR, I’m going to read nothing but those Australian books. Fortunately, because my tastes are so wide-ranging, this collection of Australian literature — bought here in London and in various book shops in Australia — includes an eclectic mix of old classics, rock biographies, memoirs, psychological thrillers, literary fiction and non-fiction. I tend to let my mood dictate what to read next, so there’s plenty here to ensure I never feel as though my reading is being dictated by an inflexible agenda. You can see all the books in my reading list on my Australian literature shelf at GoodReads. I don’t expect this to remain a static list — publishers invariably send me books for review (usually non-solicited) and these may well include an Australian title or two, which will get promptly added to the mix. My aim is to read around 80 books in total. The only rule is that the book needs to be written by an Australian (or by someone who lives in Australia and has been published by an Australian publisher). I’ve signed up to do the Australian Women Writers Challenge, so books reviewed this year by Australian women will count towards my goal of reading at least 30 books by women. You can find out more about the challenge via the official website. Fab ! Look forward to discovering some new writers via you !!! Thanks, Helen, I’m really looking forward to this project: it’s like having my own little Aussie bookstore in my living room. Love the list! I’ve actually read two of them! (All the Birds, Singing and Shame and the Captives). Would love to read more. I’ll dip into your list during the year and see if I can find any in local libraries. It’s hard to find Ozlit in USA libraries. Thanks, Martha. Australian writers generally get a bad deal and very few get published outside of Australia, so this is my little way of giving them some international exposure. I plan to provide availability details under each review to make it a little easier for US and UK readers to find the title. A good, useful idea. Thank you. I know *exactly* what you mean. I never read Australian fiction when I lived there. (And I spent 6 years working in bookshops!) But over the past decade I’ve come to appreciate it more, perhaps because it offers a link back home. I wonder if any of your 15 titles are the same as the ones on my list? Hehe, Joe. I have created a bit of a challenge for myself but I figured I needed a reading project this year. As much as I enjoyed 2015’s reading-on-a-whim approach, it did feel a bit directionless. Reading OzLit should concentrate my mind! I’m off to check out your Goodreads shelf! *chuckle* And you and Stu between you account for a fair few of mine too. I love your Reading Atlantic Canada project, Naomi. Your approach is way more healthier than mine. Still, I probably should have pointed out that I am in a book group so I will be reading one book a month that isn’t OzLit, unless someone in my group does choose an Australian novel. I had a similar epiphany with regard to my German Literature TBR, which is of similar proportions. I thought about doing a G-lit year but settled for taking 40% of this year’s reading from that stack. 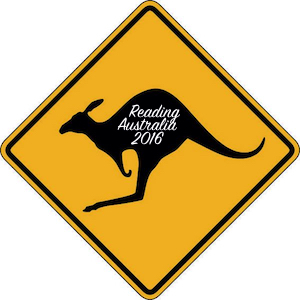 Given that an Aussie novel was my book of 2015, I need space and time to explore A-lit some more …. How about a readalong of Cloudstreet? A bit surprised that you haven’t read “Cloud Street” (or does your GoodRead OzList include titles you plan to re-read? ), it’s a modern classic, my intro to Oz-Lit in the 1990s, which I re-read last year. Also thought you had read White:s “Chariot”, which I enjoyed more than his slower “Voss”. I loved Nevile Shute’s “Town like Alice” as well. Will keep an eye on your posts here… am currently focusing on William Faulkner. Oh, I read Cloud Street when it first came out, but that was 25 years ago and I don’t remember much about it other than I loved it. I was lucky enough to be given a folio edition in 2013 and when I interviewed the author for a piece for Shiny New Books I asked him to sign it. It’s a book I have always wanted to read, so this is a good opportunity to do so. The only other re-read on the list is Jessica Anderson’s Tirra Lirra by the River, which I read last year but never got around to reviewing. Haven’t read White’s Chariot. I’ve read The Solid Mandala, Tree of Man, and The Vivasector. Wow – I’m so impressed! I have looked through your goodreads list and you have some fantastic reads coming your way. And there are lots of books I haven’t heard of as well. Looking forward to sharing the journey. Thanks, Sharkell, it’s going to be an interesting reading year, I think. When I saw your goal I thought ‘she’s mad’, a whole year of reading nothing but Aussie lit!! But when I read on and saw you have 128 books to choose from and they come from such a wide range of genres, it began to make a bit more sense. Hope that charity shop is delighted to get such a large donation! I grew up in an era where the only novels that ever seemed to be published in Australia were about pioneers or convicts, but now the breadth and depth of topics and genres is quite amazing given the size of the population. I’m hoping that I’ll discover a new favourite author or book. I may be wrong but I’ve a feeling we UK readers tend to read the usual suspects such as Peter Carey and Tim Winton plus the odd bestseller such as The Slap so I’m looking forward to discovering some more out of the way goodies via your blog. Feeling a little smug, though, as I’ve already read an Australian novel this year – Gail Jones’ A Guide to Berlin! I don’t think you’re wrong, Susan: it’s only those authors with a big marketing push behind them and global publication rights that seem to get exposure here. I think you have the most unique reading resolution for 2016 I’ve seen, Kim! Good call on boxing up all the books. I think the temptation of having non-Aussie books around would be too much for me. I’d fall down an Icelandic crime lit hole. I’m looking forward to reading your reviews, Kim, and finding new titles to tempt myself with. The vast majority of the Aussie lit I’ve picked up over the years has been because of your reviews. They’re a little harder to source in the US but (usually) been worth the effort. Good luck with the project! Thanks, Christina. And yes, I had to box up the books for two reasons — the first being I just don’t have the space in my tiny apartment and the second, probably more important reason, was to keep them out of temptation! I want to be able to look at my shelves and see only books I can read! Well I’m excited! Maybe you can join in the ‘reading the Stella Prize shortlist’ come April? I participated last year and it was a most enjoyable and stimulating online discussion. Skimmed your list – shamefully few that I’ve read but I LOVE Indelible Ink – Fiona McGregor is a wonderful and little known (here at least) writer. Enjoy your Ozlit journey! Cheers! 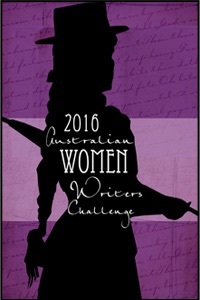 And good tip about the Australian Women Writers’ Challenge — I’ll investigate further. Wow – sounds like you have enough to sustain the plan for a year and a good variety – will watch your progress with interest! Thanks, Liz. Yes, I’ve plenty on my shelves to keep me out of trouble for a year.